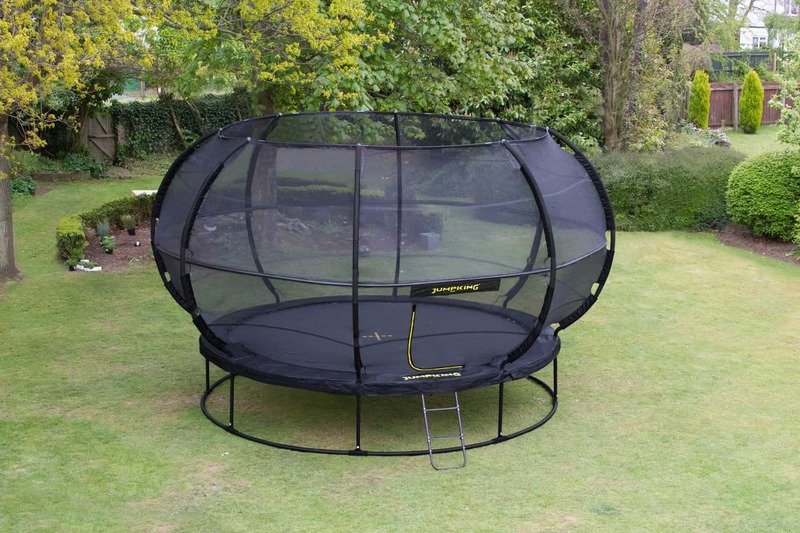 14 ft round trampoline with integrated safety net. Innovative design looks great and gives the feeling of being inside a giant globe! Maximum user weight 120kg (19st). 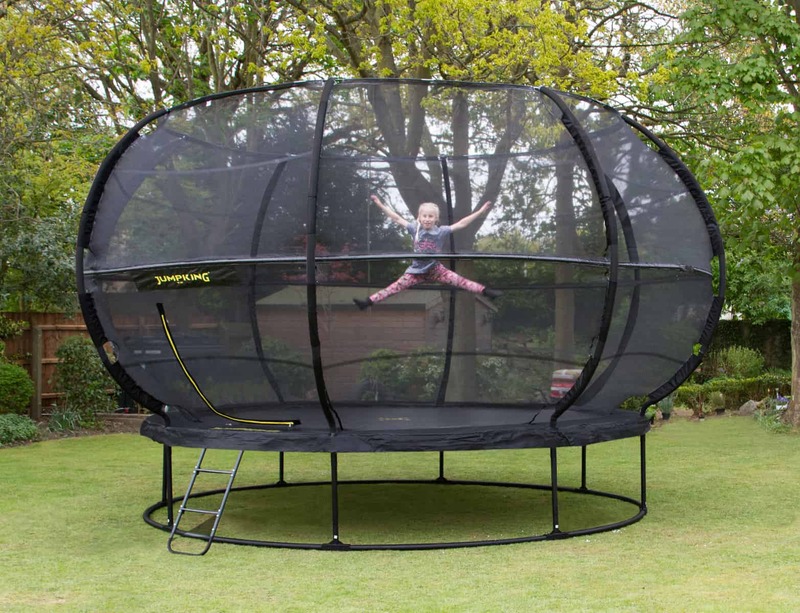 The ZorbPOD trampoline range sits significantly higher than average trampoline enclosures and curves over to give the “Zorb” feel. This innovative design not only looks great but gives the bouncer a feeling of being inside a giant globe. The 14ft trampoline frame, surround pad, bed, foams and netting is completely black, which looks cool enough for any discerning teenager. 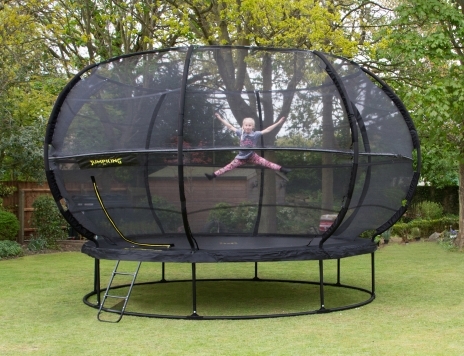 This 14ft ZorbPOD trampoline will require 17.6ft of Garden space, with a clear space of 2.5m on all sides of the Trampoline.